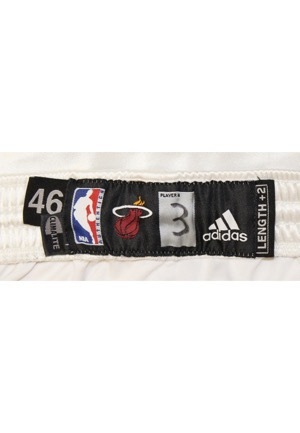 In the rear waistband is the Adidas manufacturers tag. Handwritten on this tag in black marker is the player number “3”. Attached are three flag tags reading “LENGTH +2”, “CLIMALITE” and the size “46”. 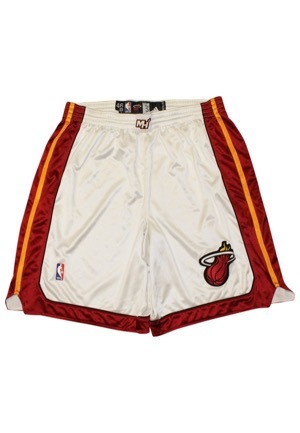 There is team piping down the sides and an official “NBA” logo embroidered. These shorts are properly tagged and were presented to us as game-used attributed to Dwayne Wade.